Alas, I’ve read none of these. I haven’t even HEARD of these books. >Cliff, if you live in Virginia, close to Charlottesville, read the new stories in the new edition of Virginia Quarterly review. Go, go,read it. >My copy arrived just the other day. Is there a connection to the Booker? >No Cliff, sorry for putting it there. I just saw that journal, bought and read it. I went crazy about the African story "Fisherman" that I began looking for where short stories are reviewed to hear what people have said about it it. I saw your blog and I just put it there. I mean, is this fiction, the mad man cuts me deep. I don't know if you have any opinion on the story. >Hah. Okay, I know the feeling. The issue is on my desk now and I'll read and comment soon. Thanks for the tip. If taken literally, you're saying that you hadn't heard of Hollinghurst's The Stranger's Child. I doubt that. But I also believe that I interpret everything too literally. The problem is that I don't know a non-literal interpretation of your assertion that you haven't heard of the books in the Booker long list. Also, this posting (of mine) has the annoying quality of rambling on and on, over such a minor point. The Hollinghurst won't be released in the States until October, I've now learned. I truly had not heard of it. (I meant what I said.) 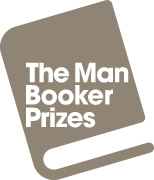 That's one of the problems with the Booker–many of the nominees haven't landed here yet, so we don't know about them. >Although haven't read The Stranger's Child yet, I think Hollinghurst would be favoured above others. He seems to have a sort of cult followership in the UK -the reason being In The Line Of Beauty. On the other note Cliff, still waiting, you may post yr thoughts here.